Classifying e-Commerce businesses can be tricky, but it can be important to ascertain the basis and purpose of these businesses by segregating them into categories. Some are similar enough that this process might seem like splitting hairs, but the differences are pretty definitive all the same. The two parameters that make the most sense are the types of goods the e-eCommerce business sells and the nature of the participants. This type of classification is important because it gives the analyst an insight into the business model and the financial model of the enterprise. The logistics of delivering physical goods can be a huge challenge for some businesses, while sellers of digital goods don't face this problem. When it comes to selling tickets, a great many parameters must be evaluated in real time. In the case of airline tickets, issues such as availability, the location of seats, meal preferences, and refundable versus nonrefundable options come into play. 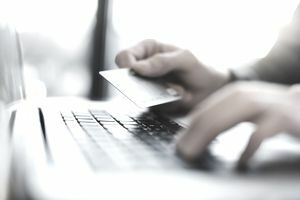 Purveyors of digital goods can operate online only, whereas those who sell physical goods can take online orders and process online transactions, but then they must have a physical delivery system in place to transfer their products to their buyers. These are close relatives of the mail-order businesses of old. Business-to-Business (B2B): Both participants are businesses, and the volume and value of B2B e-Commerce can be huge as a result. An example would be a manufacturer of gadgets that sources components online to manufacturers that use them to create their own products. Business-to-Consumer (B2C): Most people think of B2C e-Commerce when they hear the term "e-Commerce." A name like Amazon.com almost immediately pops up in most discussions about e-Commerce. Elimination of the need for physical stores is the biggest rationale for business-to-consumer types, but the complexity and cost of logistics can be a barrier to B2C growth. Consumer-to-Business (C2B): C2B e-Commerce seems lopsided at first glance, but online commerce has empowered consumers to originate the requirements that businesses fulfill. An example would be a job board where a consumer places her requirements, and multiple companies bid for winning the project. Another example might be a consumer posting his requirements of a holiday package with various tour operators making offers. Consumer-to-Consumer (C2C): Think eBay.com, the most popular platform for enabling consumers to sell to other consumers. Because eBay.com is a business, this form of e-Commerce could also be called C2B2C—consumer to business to consumer e-Commerce. Business-to-Administration (B2A): The term "administration" relates to public administration or government entities. Yes, there is an e-government. Countless branches of government are dependent on or use e-services or products in one form or another, particularly in the areas of documents and employment. Businesses can supply these from an electronic base. Consumer-to-Administration (C2A): Consumers can be involved in this equation as well. Although government rarely buys products or services from individuals, individuals frequently use electronic means to transmit payments or file tax returns. Employees can be regarded as a special type of consumer. That would potentially give rise to a new type of e-Commerce: B2E or Business-to-Employee e-Commerce. Setting up shop on Facebook is a fast-growing e-Commerce segment, so it's been awarded its own bit of jargon: f-commerce. Likewise, m-commerce stands for mobile e-Commerce. "Bricks and clicks" refers to sellers with brick-and-mortar stores or a chain of stores, as well as e-Commerce websites. Multichannel purveyors include physically mailed catalogs with their brick-and-mortar stores and their websites. Think Victoria's Secret and Dell. C2C e-Commerce is sometimes referred to as "piggybacking" because of the use of a major, well-known site to expedite and attract traffic. "Dropshipping" involves acting as sort of a liaison between your customers and a supplier by setting up a storefront such as those that are available on Shopify. Then there are a few models with less than colorful terms, but they're no less integral to a thriving e-Commerce economy. Wholesaling and warehousing are a bit more complex. They involve managing inventory and stock, much like a brick-and-mortar storefront. You're effectively selling your own products via the internet, but you have to store them somewhere until such time as they're sold. There's a lot of value in being clear about the type of e-Commerce business you're talking about. It allows you to make like-to-like comparisons across e-Commerce businesses. At the same time, it helps everyone better understand the business model of different e-Commerce players.